How about that charp looking Bohemian Jacquard Cape you see at the right side of the above image? Pretty nice, isn't it?? This starry print speaks to the polished romantic. Tie detail at collar; button front. Long bishop sleeves with banded cuffs. Find your free spirit in this multicolor dream cape. Tie waist; two belt loops on back. A pocket-free back enhances the super-sleek fit of these jeans. Ruched-band, low rise waist with V'd back yoke. Learn more about Chloé from the Chloe website. 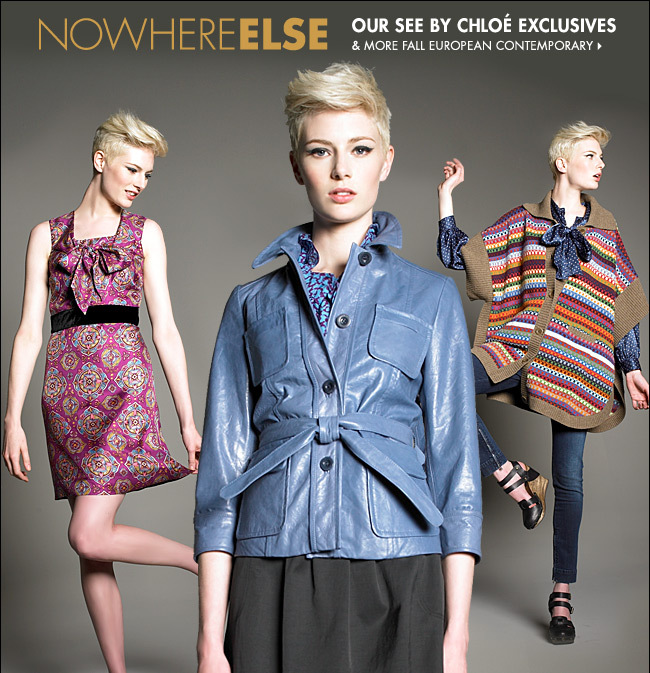 If you enjoy Chloé, you are welcome to discuss the company, the brand or the designers behind the brand, you can join in the discussions at the Chloé Group on the Fashion Industry Network.